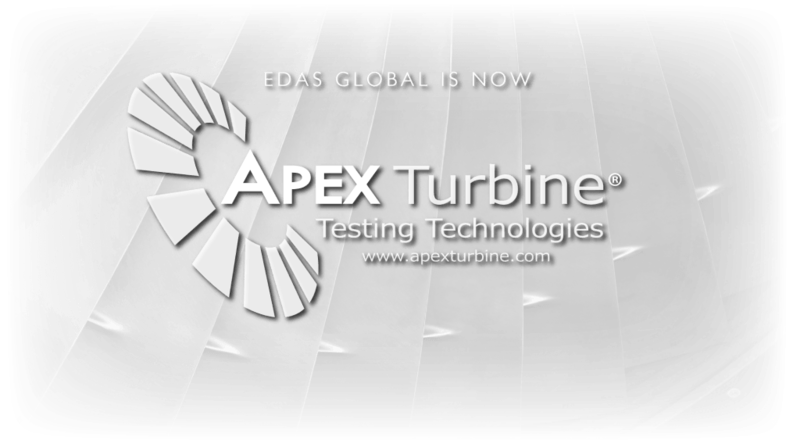 Experimental Design and Analysis Solutions, Inc. (EDAS) announced today that it is changing its corporate name to Apex Turbine Testing Technologies effective immediately. The name change is part of a re-branding initiative to better align the Company’s name with the solutions it provides as well as future products, currently under development. Apex Turbine has many exciting things planned for 2015, beginning with their annual user’s conference on February 17-20 in Nashville, TN. In January, Apex Turbine released Blade Timing (BT) version 1.0 – a brand new software product for posttest analysis of tip-timing data. Future versions of BT will provide users with the ability to not only analyze tip timing data, but to acquire and monitor the data in real time. This is similar to the functionality provided by DS, Apex’s flagship data acquisition and monitoring product. In addition to releasing future versions of BT this year, Apex Turbine will also release version 3.0 of their data analysis and post-processing software, Workflow. Workflow 3.0 includes many new features, the highlight being the creation of customizable reports. Apex Turbine will also release new versions of GageMap, a software tool used to determine optimum gage placement and monitoring limits, as well as DS, a software suite used for setup, control, acquisition and monitoring of dynamic test data. DS will also continue to add support for an increasing variety of acquisition hardware platforms allowing customers to separate hardware and software purchase and management decisions. Apex Turbine Testing Technologies is a global solutions provider specializing in turbomachinery aeromechanical testing and analysis and offers test operations and data acquisition solutions to fit unique requirements and budgets. These solutions can include software, hardware, integration, installation and engineering services. Apex Turbine operates under the highest ethical standards and puts our word above our bottom line. When we promise something, we deliver it. We are tenaciously committed to customer support and service.